We Designed and Conducted our First Workshop. 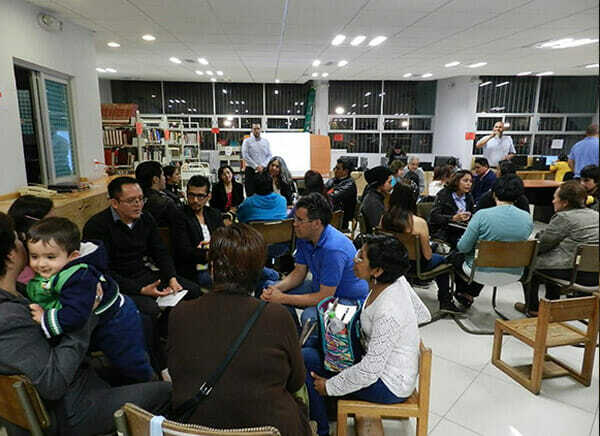 It has prepared an interactive workshop consisting of games and audiovisual material in the form of short documentaries, based on the contents of the book, and also features scientific material that will be added in the second edition of the book. This workshop has been taught for the first time to a group of 7 people, whom we thank for their participation and were important to polish the development of different themes expressed. The workshop is conducted with one or more groups of maximum 10 people in sessions of 2-3 hours, with a series of 12-16 workshops depending on the progress of the content, more the review of issues in the end. The workshops require chairs, a video projector, a microphone and speakers. Some games require small balls, hula hoops and chairs type mobile more music and a hymn or chant with the audience is identified. Some games require special tools. The man according to the scientific vision of 1,800 and its implications in our current society. The man according to the scientific knowledge of 2.013 and its implications in our society. The last 100 years of the development of psychoanalysis, successes and failures. Examples. The environment as the most powerful weapon to mold the individual. Examples. Good and bad in society. Human organizational structures and collective participation mechanisms. Origin of the current educational system. Characteristics of the industrial era and the current era of knowledge. Principles of the new educational model. What is money? Functioning of financial and monetary systems, implications. What do we do now? Let us work by changing the educational system. The visual content of the workshops , this in our video channel on the list called Fundamentals Course Evolution.